I’m one of those graphic designers that has tons of fonts but only uses like a quarter of the collection. A major element of graphic design is the font, in fact sometimes, that’s all the element you need to communicate a message visually. 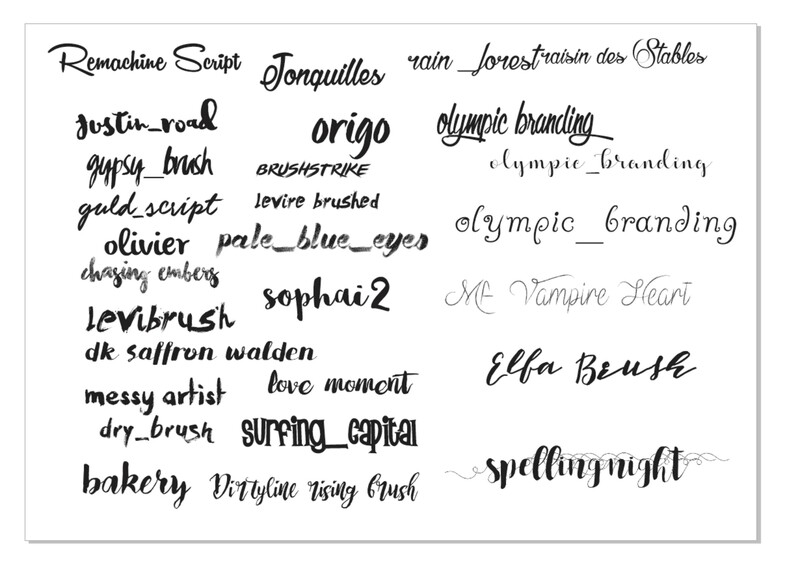 With tons of fonts it can be time consuming selecting when creating a design, here’s a tip on how I select fonts quickly – I created a document (in CorelDraw) titled Fonts I Like with most of my favourite / fonts I use often on a page (see screen shot below). It’s usually open when I’m designing so I can get quick font references. This post is about a deal on fonts to add to your growing collection – Design Cuts The Essential, Popular Fonts Collection for 29$, that’s 99% Off and this is a limited offer! Every designer wants the best fonts for their collection. Quality fonts have the ability to totally lift our creative projects. This incredible new collection features some of the most popular fonts across every aesthetic. These fonts regularly sell for thousands of dollars, and top every best-sellers list. This is the first time you can find all of these incredible fonts available for this kind of discount. Expand your font collection with some of the best fonts in the worldThe quality in this brand new collection is through the roof. We’ve teamed up with the best font designers in every field. We’re thrilled to include the much requested and enduringly popular Hanley font collection. Find gorgeous high-end sans and scripted fonts from the award-winning team at Latinotype. There are beautiful serifs from Laura Worthington, and even high-end fashion display fonts, bold slabs, and awesome gothic collections. Many of these font families sell for hundreds of dollars at regular price, and so it is literally unheard of to get them all for just $29.